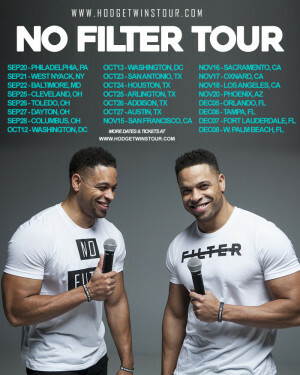 The Hodgetwins are taking the show on the road! For years, you have watched them on their various YouTube channels and laughed until your stomachs were in knots. Just imagine that same reaction…doubled! If you thought they were funny online, just wait until you see them in the flesh. And don’t worry, everything that you have come to love about them – their edgy, unfiltered comedy is exactly what they are bringing to this show. So if you are ready for a night of unforgettable laughs, be sure to cop your ticket today!